Good morning! Well, good afternoon actually. It's almost midday and I am writing this to you from my bed, in my PJ's. It's raining outside and MrBehomeforT just got called into work (poor bugger). I made some pineapple, orange and peach juice with the juicer and had an egg on toast. I'm listening to the 'coffee table jazz' playlist on spotify. And now I'm back in bed. So good! I love Sundays! My plan for today was to finish the rest of the huge Italy Lonely Planet, to plan where we are going (a little more than 2 weeks, I am so excited!!). But before I do that, I want to give you guys (there are not that many of you yet, right? 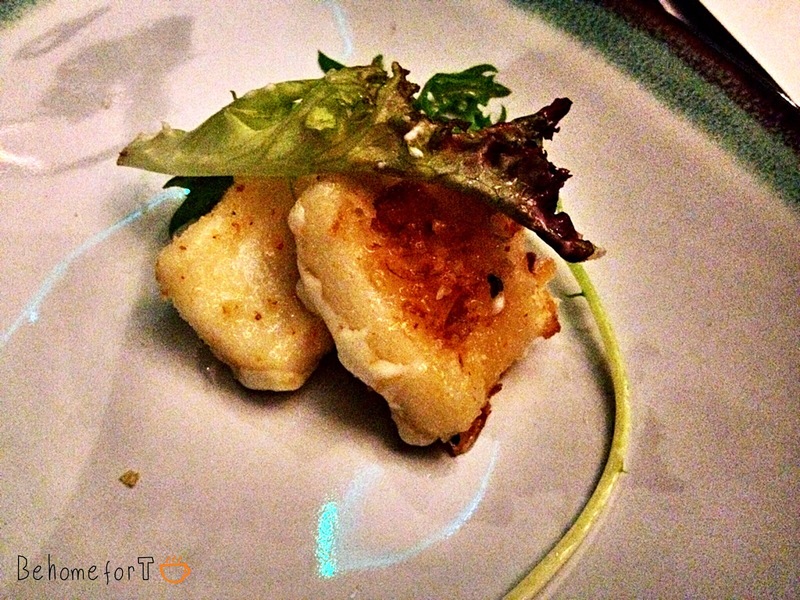 I guess everyone has a blog nowadays and it's difficult to get a public when you have just started) a review of this cute little Japanese bar in Erskineville we went to yesterday. It's called Kuki Tanuki. I have to apologise in advance for the quality of the pictures. I seem to be the last person on earth with an iphone4. Yep. An Iphone4. So when it's dark inside the pictures are not very clear. Even afterlight cannot save the pictures in such a situation. Ah well.. Next time better. I have never been to Japan before but I would love to go there. One of the main reasons is the food. Who doesn't love sushi? It's one of those foods that you have learn to eat. MrBehomeforT wasn't a fan but this is slowly changing. I'm pretty much forcing him to try some sushi every time we go for dinner at a Japanese restaurant. You remember the first time you had sushi? It was such a foreign concept to me that I could not stand it. I thought it was gross. I was 21 and I was studying at Sydney Uni as an exchange student. This was in 2005. I think at that time there were not many sushi places in Holland. At least not any that I knew of. I remember that the texture of the raw fish bothered me. And this big piece of ginger on my sushi. 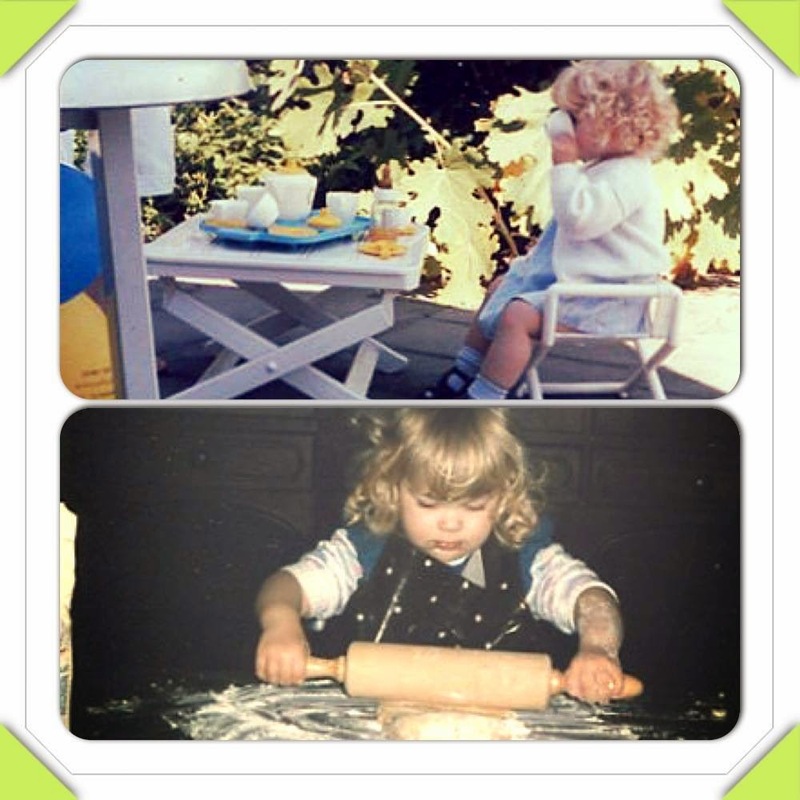 Didn't have ginger before either. Don't get me wrong, we eat more than just bread in Holland, but at the time I left the Netherlands there were not a lot of 'exotic' (for Dutch understandings) places like Thai, Indian and Japanese. The second time I tried sushi I still did not like it. The food is so interesting though. It looks so pretty. So I gave it another chance and by that time I didn't mind it anymore. I now love sushi! I'm trying to put MrBehomeforT through the same process and I believe yesterday it was the fourth time I was forcing him to eat sushi, and I think he didn't mind it. He was even OK with me ordering some more, and he had more than one piece! Perhaps it was the sushi at Kuki Tanuki or the fact that he is getting used to it, but he is eating it! So, Kuki Tanuki. We walked past the place when we went to the Hive Bar on Anzac Day. It's a small Japanese 'tapas' and sake bar. I cannot believe I did not try some sake yesterday. Will have to go back! The guy who was serving us was super friendly and the food came out so quick! We finished our dinner within an hour. Perhaps it's the type of food that doesn't take very long to come out or maybe we liked it that much that we ate like it was a competition. 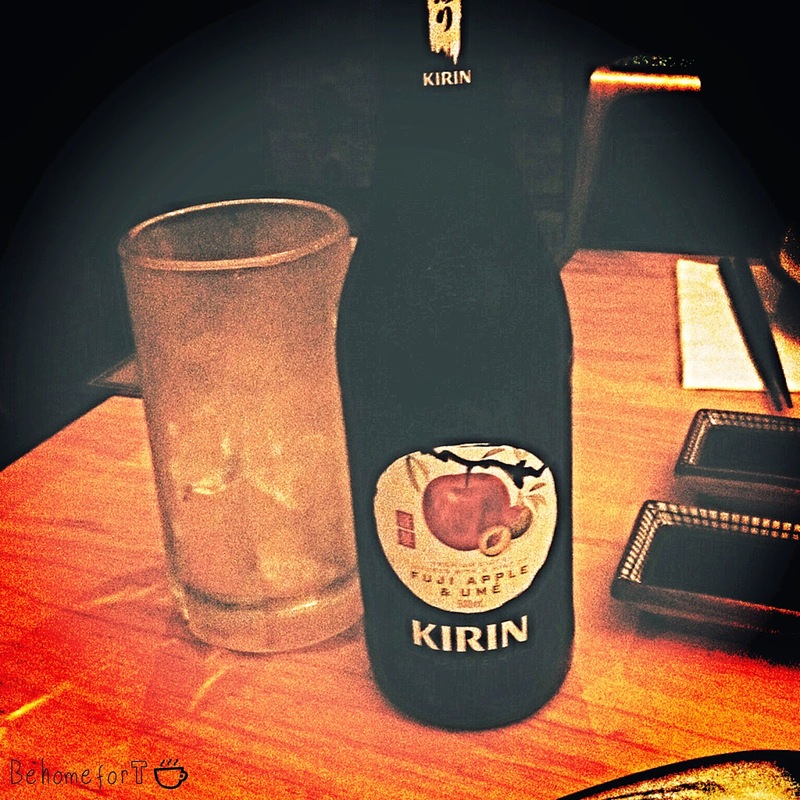 I ordered a nice Japanese cider which I had before, Kirin cider with Fuji Apple and Ume, which is a Japanese prune. It wasn't too sweet and easy to drink. I really liked that cider. 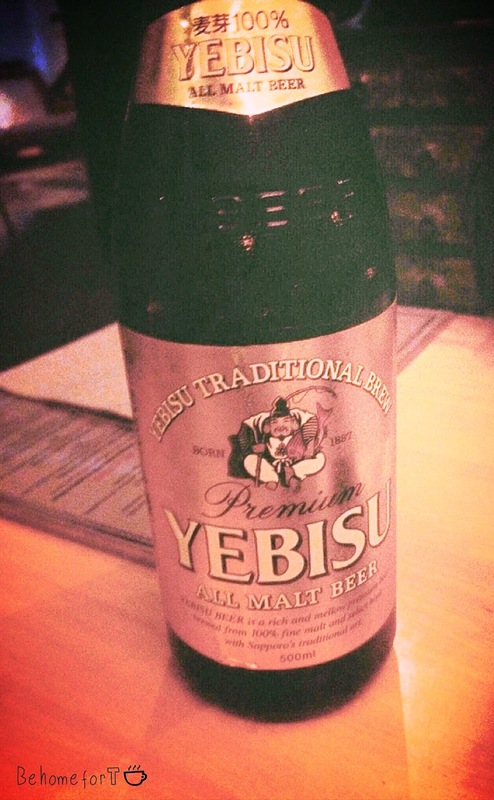 MrBehomeforT tried a Japanese beer (Yebisu), which was light and easy to drink. I'm not much of a beer drinker anymore but I could have ordered a glass of this myself. I never had these before. I thought they would be similar to Chinese dumplings, which was not the case. 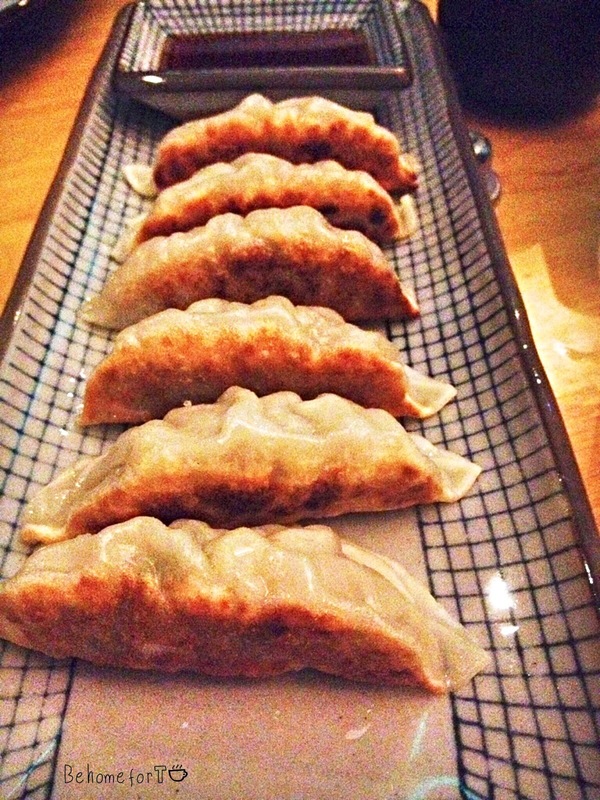 These gyoza were panfried and a bit crispy on the outside. They had a lovely pork and cabbage filling and were served with a citrus ponzu sauce, which looked a bit like soy sauce, but was a lot sweeter. So easy to eat. I could have eaten another portion. This type of sushi has flame grilled salmon on top and avocado, cucumber and mayo inside. It was served with crispy bits and a soy reduction. OMG! This was delicious. The waiter said "you will like this one". Well, he was right. How good were these crispy bits! 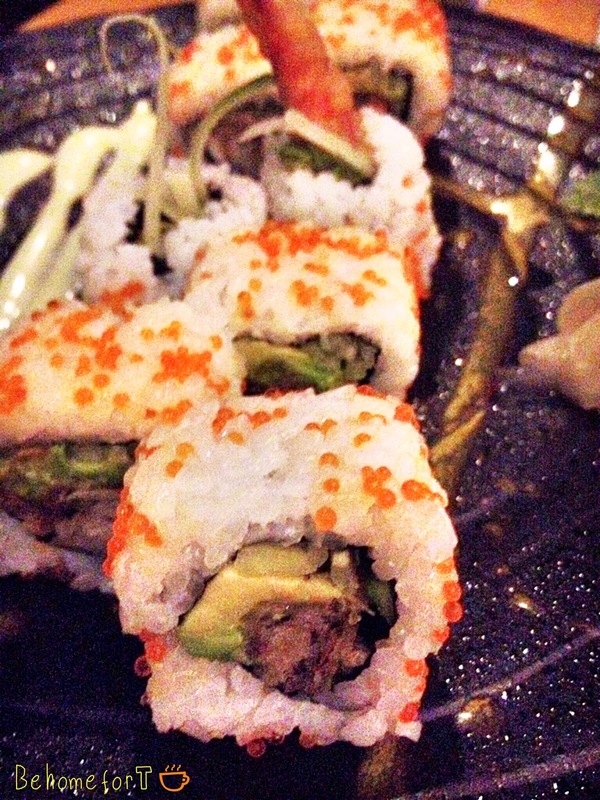 Sushi itself often has a soft texture but the crispiness of these bits gave an extra dimension to it. MrBehomeforT even said he would order the same plate again! This was my favourite of the night. 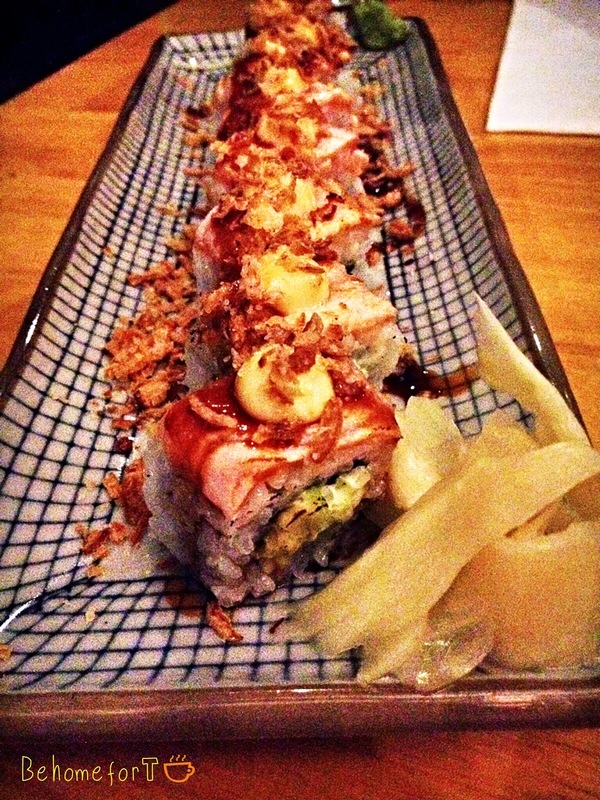 If you go to Kuki Tanuki you will have to try this roll! This roll had soft shell crab, cucumber, and was supposed to come with spicy miso. 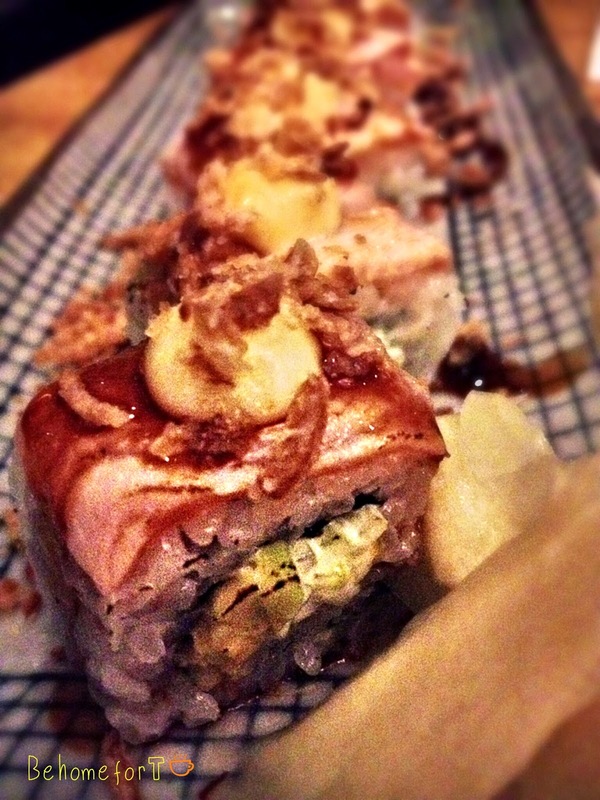 I asked whether the kitchen could make us a version of this roll without the spicy miso. Not a problem. Done. 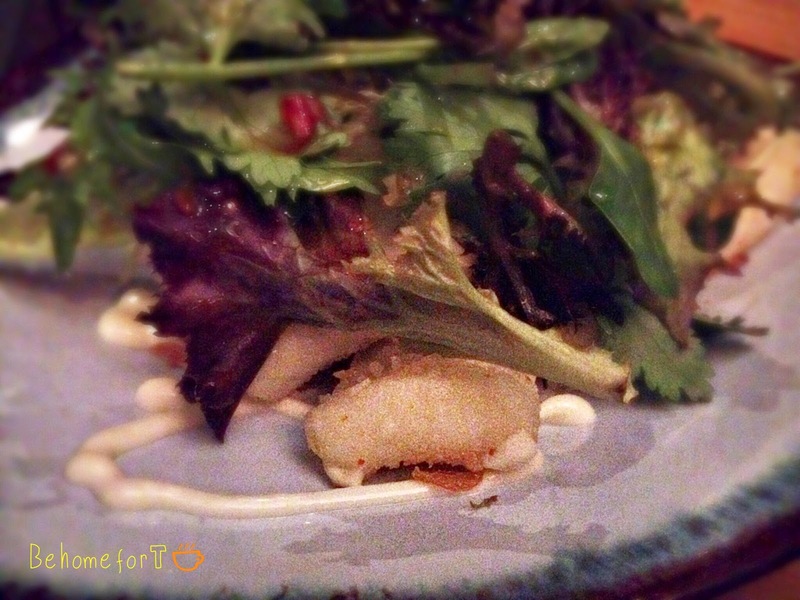 The soft shell crab was crunchy and the spicy miso was replaced with a different type of mayo. Perfect! This roll was nice but the Tasmanian roll was better. 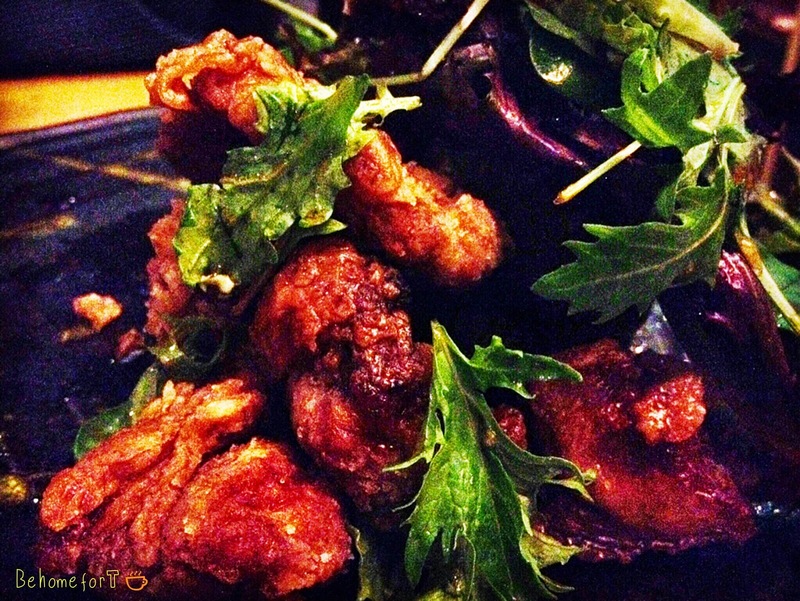 Crispy deepfried chicken with a sweet and sour nanban sauce. These were delicious. I am not a fan of deepfried food (unless it's Dutch 'snackbar' food). The only time I went to KFC I felt so sick afterwards. The food was horrible. This deepfried chicken though was delicious, and so easy to eat! The sauce gave an extra dimension to it. We both loved this dish. After all this food we were stuffed! I wish I could have tried more! The Wagyu Roast Beef Tataki was on our list and I would have loved to try the green tea ice cream, but we honestly could not eat a single bit after all this delicious food. 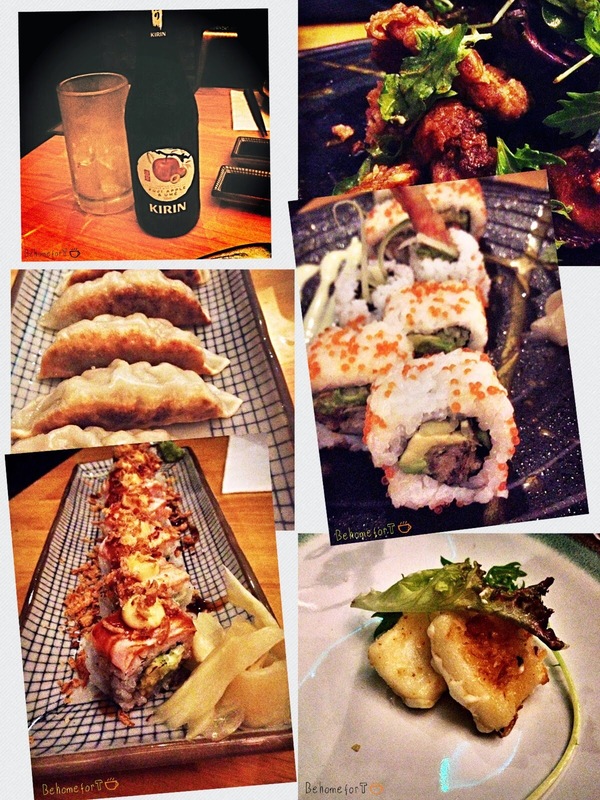 I loved the atmosphere, the service and the food at Kuki Tanuki and we will definitely be back!